There are records that we think will stand forever, like Cal Ripken’s 2,632 consecutive games played. There are some records that we hope will stand forever, like Hank Aaron’s all-time home run record (*). 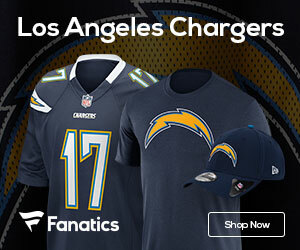 There are even some records that we thought would never be broken but have been, like Paul Hornung’s record of 176 points scored in a season set way back in 1960 and broken by LaDainian Tomlinson in 2006. Now, there is one record that definitely will stand forever. 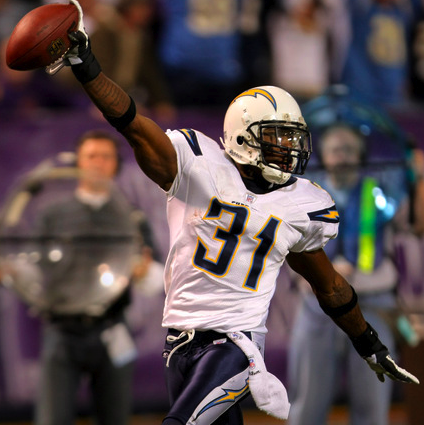 Antonio Cromartie returned a missed field goal attempt 109 yards for a TD on Sunday, November 4th, 2007 against the Minnesota Vikings. Upon freeze-frame review (I Love DVR), it looks like there is about 2-3 inches between Cromartie’s foot and the line marking the back of the end zone. So, actually, his return was more like 109 yards 2 feet and about 9 inches. That only leaves approximately 2.9 inches, out of a possible 3,959.99 inches, left for a single play to gain more yardage than Cromartie’s. But that is the key word, you just read it, yardage. Football, although a game of inches, is measured statistically with yards. Therefore, it is impossible for a player to gain more than Cromartie did since 109 yards is the maximum possible. Because in order to gain 110 yards a player would have to start on the back of the end zone line which is out of bounds, thus impossible. It is possible, however, for a player to tie Cromartie’s record and etch his name into the record books forever. But Antonio Cromartie’s name is now etched in stone and can never be removed.